Long back in the nascent years of 20th century, India’s freedom movement was slowly building up. Structuring and configuring its trajectories was a little tedious. At least, its tangible form. During those days, a piece of history was waiting to be penned down in the form of Banaras Hindu University (BHU). What utterly lacked, then, as felt by great educationists was a platform to learn, grow and empower oneself. Be it religious education or enhancing the scientific temperament, understanding what created India was growing essential. The naked need for bright, evolving minds could not be avoided, finally leading to the establishment of BHU in 1916. Travel to Banaras Hindu University to explore one of the empowering educational institutions in India, which boasts of high cerebral standards, intellectual standards and in-depth research growth, especially in the field of science and technology. Today, known as one of the largest residential universities in India, BHU is the Alma Mater for more than 20,000 students. 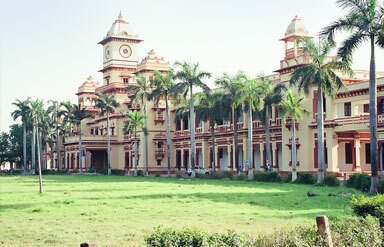 In fact, students from more than 34 nations pursue their higher education in BHU. Wrapped in the culture of Banaras, this university has its own unique ambience, culture, aura and captivating zeal. Innumerable artists, scientists, economists, administrators and administrators who have contributed in their own way, hail from this university. Since it’s stretched across 1300 acres, the campus located in the Southern part of the city, has evolved one of the important destinations for Banaras sightseeing. One of the prime tourist attractions of Banaras Hindu University, this art and archaeological Museum was constructed in 1920. Today it is known as one of the best university museums in India. Quite spacious, it is known for miniature paintings, manuscripts, sculptures as well as 12th century palm leaves. Over the decades, it boasts of having more than 100,000 antiquities well preserved within its guardianship. One can spot several archival, archaeological and decorative materials in this museum, adding to its aesthetic appeal. The priceless collection of intriguing Indian paintings further adds to its charm. In fact, Mahatma Gandhi, the Father of India, had also visited this museum and had been very impressed with its development. Boasting more than 1.3 million volumes of books and journals, this enterprising library was constructed by Maharaja Sayajirao Gaekwad III of Baroda, Gujarat. 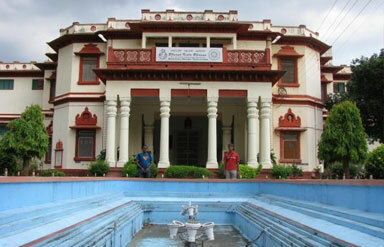 Locally called as the Central Library of BHU, it was established in 1917. Emulating the architecture of the British Museum, the current building of the library was constructed way back in 1941. Over the years, the library has witnessed several seminars and conferences dealing with manuscript conservation. In fact, it recently got associated with the internationally acclaimed National Manuscripts Mission in New Delhi in 1941. Located almost in the centre of the university, this temple is 77 m high. It consists of seven temples and was built in March 1931. It took 30 years for its construction. Performing ritual dances or folklore musical recitals in the temple is often done by students, on a daily basis. 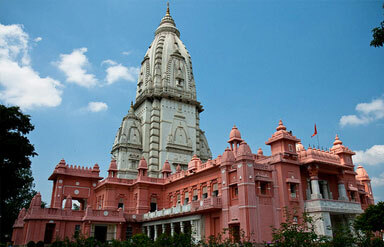 The famous Indian industrialist Birla had built this temple. One can also buy religious souvenirs items, handicraft articles and even special Banarasi sarees from shops located outside the temple. Even delicious, affordable vegetarian delicacies are also served in the adjoining rustic restaurants. 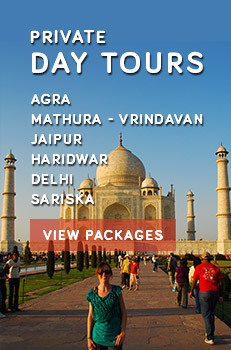 Thus, experience Banaras is incomplete if you do not explore the brilliance of Banaras Hindu University Travel Guide. So, along with the exploration of ghats, evening aarti and temples make sure that you take some time out for exploring this enchanting escapade.